823) The Bright Side of the Elections !! 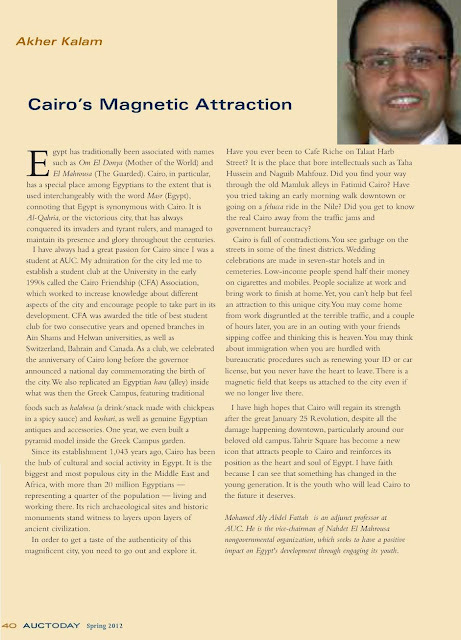 Published Article ::: Cairo's Magnetic Attraction ! 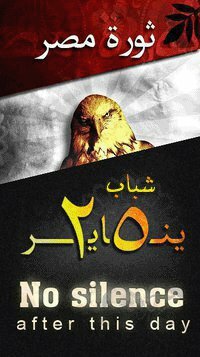 Do you realize that if your aim is happiness, you will never be happy !! Yes how ironic, but happiness is an abnormal and temporary status where if reached can't be always maintained... What we should aim for is satisfaction as this can be manageable and permanent, and when happiness comes we enjoy it, and try to prolong it but we shouldn't take it for granted. "If only" turned out to be the mother of all sadness because we willingly make our happiness pending on something that if happened, there is a 99% chance that we won't be happy... there will be something else that we will be looking for and saying "If only I have this". Know what you have, and enjoy it, and know what you don't and work for it. 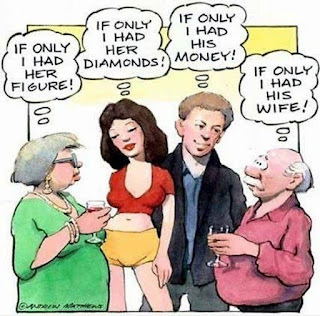 The real happiness comes from making use of your blessings and working hard to achieve your goals; other wise, welcome to the infinite loop of "If Only!". 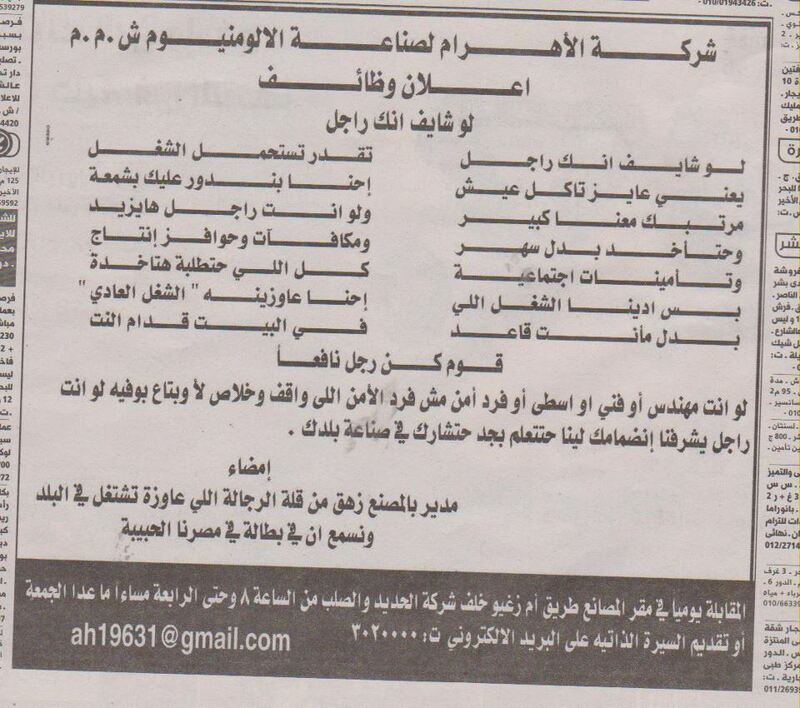 821) Job Opening: Matloob Ragel !! 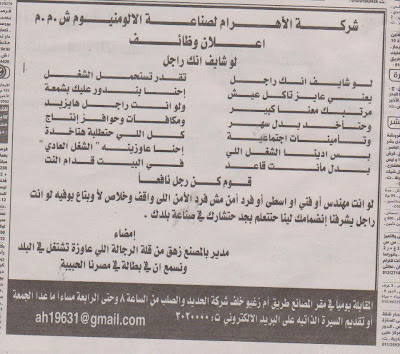 The newest advertisement trend in Egypt ... Employers are bored and need real men !